Bank Note / Small Business / Does Your Bank Play Well with Others? Does your bank play well with others? If you bank with Seacoast Business Banking, the answer is yes! Here at Seacoast, we believe it's crucial for your bank to “get along” with your company’s partners and other advisors. 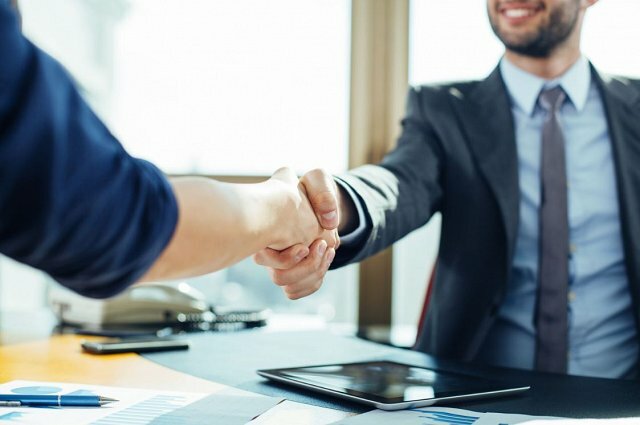 It's crucial for your Business Banking partner to see and understand your vision for the future, and lend expertise in not only helping to design financial solutions to grow your business, but also partnering closely with your other advisors to ensure a common focus on the overall success of your business. They share your passion for growing the business. Only someone who is truly invested in the success of your business can help you reach your goals. This is true for bankers and advisors alike. They assist in contributing to a customized business plan. Working with your other advisors, a great bank will help to create a business plan, alongside your other advisors and teams of experts, for success that’s tailored to your company’s specific financial needs and goals. They know the ins and outs of your industry. An experienced banker will be well versed in your industry, and will partner with you to learn the particular challenges of your organization, utilizing the knowledge of your advisors and outside consultants whenever possible. They offer financial solutions for every aspect of your business. From cash flow needs to payment processing to loans that will enable your growth, a great banker will be knowledgeable in a diverse range of financial topics. Their organization has the technology to advance the banking process. As part of your overall financial team, your banker’s organization will have made the investments in state-of-the-art technology to deliver banking solutions across all channels; including mobile, online and enhanced functions at ATMs. A collaborative approach to the business of banking will help accelerate your company goals. With this in mind, Seacoast Bank created the Achievement Advisors Program to provide a truly different level of interaction with the clients of Seacoast Bank. This program was designed to help our clients move their business forward faster. In some cases in order to help our clients move forward the outside resources of our Achievement Advisors will be the most effective course of action. To see firsthand how a Seacoast Bank can support the growth and success of your business, request a personal Seacoast Business Banker to visit your office today by calling 866.710.5778.